I've been busy preparing for the Southwest Maker Fest. 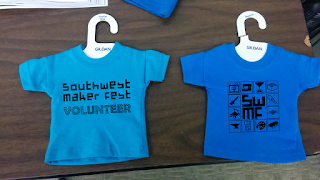 One thing I've done is design the new volunteer shirt. The back is the side that says volunteer.